This page was last modified on 24 April 2008. Description: Dawggone Communications, a publisher of seven e-zines, "know[s] how much time and effort go[es] into creating and maintaining quality web sites and ezines" and offers their award to recognize "the people who are working to make the Internet a more entertaining, useful, enjoyable, and family-friendly place." Sites are evaluated on content, design, navigation, appearance, load time, and family-friendliness. Citation: "Congratulations! Your web site was chosen as a winner of The Dawggone Good Site Bronze Award offered by Dawggone Communications. ... I enjoyed my visit to your site. Thanks for making the web a better place. It is evident that you have put a lot of hard work into your web space. This award is not automatic. All sites are viewed." Citation: "ConCATulations! Our judges have all visited your site, and have found it interesting, informative and a pleasure to surf through. 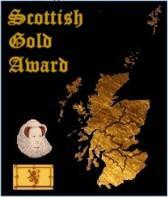 We are very pleased to award you our gold award. ... You have obviously put in a lot of work on this website. I really enjoyed browsing through and reading about everyone." Description: A Celtic Heart Remembers conducts the Alba Awards Program "[t]o acknowledge dedication and effort," "[t]o recognize the endless hours" ... "spent to create, develop and maintain a Website containing" ... "interesting and safe material for viewers of all ages," and "[t]o encourage, motivate and inspire" further development. Sites are evaluated on content, design, appearance, and family-friendliness. Citation: "Congratulations and thank you for inviting me to review your site. I found it to be most interesting and a pleasure to visit. You have done a marvelous job!" Description: Artabus, a virtual art gallery, presents this award "to honor web masters who with great care and attention to detail created their Internet presence" which they "also continue to improve" and to recognize "their long hours spent in front of a computer screen, weaving a masterpiece and checking each page for any possible error." Sites are evaluated on navigation, design, aesthetics, content, load time, cross-browser compatibility, and coding. Citation: "Congratulation, you are the winner of a silver Award!" Description: The Little Man's Award recognizes "interesting and useful pages" that "make the internet a lot more interesting." Sites are evaluated on design, navigation, content, and coding. Citation: "Congratulations!! ... You have passed my scoring system. ... It is my pleasure to grant you a Merit Award." Description: The Magic Hat, an online magic guide, presents the Happy Rabbit Award to recognize sites which are "the best of the best" and "have the courage to be different." Sites are evaluated on design, content, and functionality. Citation: "Congratulations! You are a Winner of the Happy Rabbit Bronze Bunny Webdesign Award!" Description: Webkin Online presents awards to sites that add something positive to the web. Sites are evaluated on easy navigation, eye appeal, compatibility with both MSIE and Netscape, and load time. Citation: "Congratulations! You have won our BRONZE award! Well Done! Your web page was good in both design and content. Keep up the good work!" Description: Arlana's Corner presents awards "to give hard working Webmasters the Credit they deserve." Citation: "Congratulations on winning my "Great Site" Award." Description: Presented by Butterfly Awards, the Merit Award recognizes sites which "do not qualify for [their] other awards, yet show promise and possibility." Sites are evaluated on content, layout, navigation, and functionality. Citation: "Congratulations! Your website has earned our "Merit Award"! Our judges found your site to be well laid out, but lacking of content required for our "Excellence" award." Description: Sealight's Award of Excellence is presented by Sealight's Design to recognize general web site excellence. Sites are evaluated on content, navigation, visual appeal, and design. Citation: "Congratulations! Your site has won the Sealight's Award of Excellence." Description: The Dragon Masters Best of Web Award recognizes general web site excellence. Citation: "I have viewed your site and find it quite interesting and informative, thanks for making the net a great place to visit. Keep up the wonderful work and may all your days be happy ones." Description: "The HoopesOnline Web Design Award recognizes "webmasters who have shown an ability and desire to design great web sites" which are "easy to navigate, easy to use and presented in an appealing way." Sites are evaluated on functionality, usability, load time, design, navigation, feedback mechanism, and content. Citation: "Excellent class site. What a great way to keep in touch! You have excellent content and good, consistent navigation. Congratulations, your site meets all of the requirements of the HO Award."